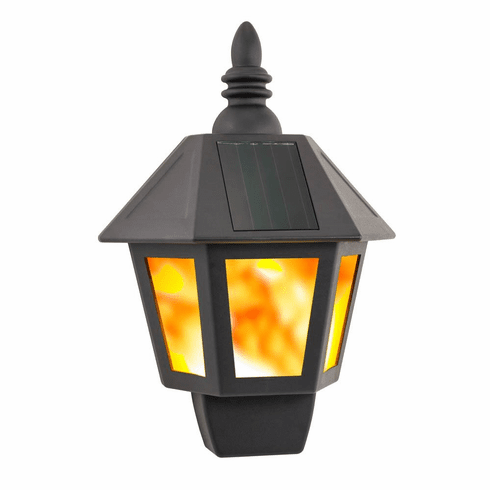 This cool solar powered wall lantern will show off a simulated realistic flame in its window. 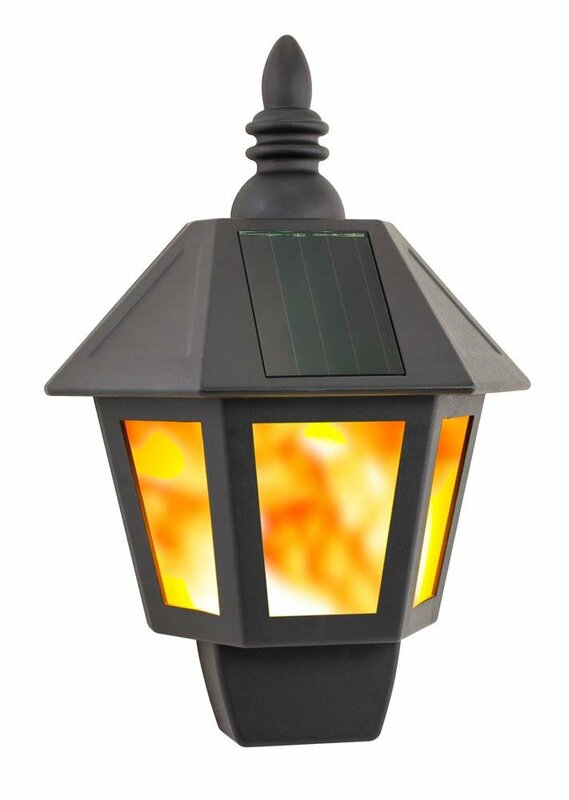 Hang this wall lantern at your front or back door for an interesting glow. Features automatic on and off, hanger hole in back for easy wall mounting and is weather resistant. Wall mounting hardware is not included. Weight 0.6 pounds. 7.75" x 3.75" x 11". Plastic. 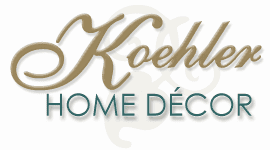 UPC Number: 841437117899.